In a blow for Roche, NICE has turned down its cancer drug Avastin because of ‘too many uncertainties’ over cost and efficacy. The draft guidance, which is out for consultation, has not recommended Avastin (bevacizumab) as first line treatment for metastatic breast cancer, in combination with chemotherapy drug capecitabine. 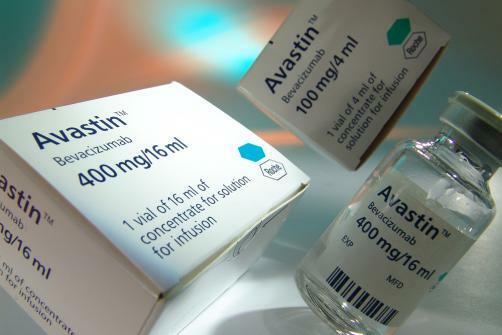 Prescriptions of Avastin have been waning after its indication for advanced breast cancer was removed in the US last year. The European Medicines Agency allows Avastin to be used with the most common chemotherapy drug, paclitaxel, but it can no longer be used with docetaxel. NICE has now said that, although median progression-free survival with bevacizumab plus capecitabine was 2.9 months more than with capecitabine alone, it was unclear whether that meant an improvement in overall survival. The health watchdog’s guidance also questioned Avastin’s cost effectiveness, saying that Roche’s figures were based on a specific subgroup of patients who had previously received a taxane, and not on the whole capecitabine cohort. It added there was also no data to show if patients would be more able to carry out their normal daily activities than if they were being treated with chemotherapy alone. “We understand the need for effective treatments that can help patients live for as long as possible with a good quality of life,” explained NICE chief executive Sir Andrew Dillon. Avastin has an average monthly cost per patient of around £3,700, and Roche did not submit a patient access scheme for this appraisal. The Scottish Medicines Consortium is expected to issue its own guidance on Avastin for this indication next month. Breast cancer is one of the most common cancers, with 48,000 women and 300 men diagnosed each year in the UK: analysts have estimated the global market for drugs in this therapy area is over $10 billion.